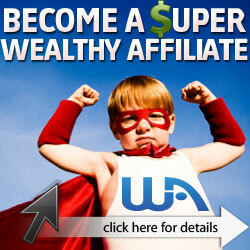 You may have heard all the hype over affiliate links getting stolen and losing up to 40% of affiliate commission. All these attempts prey on people to instill in their minds that they may not be getting what they deserve. I know that commission stealing is a problem, and affiliate networks like Clickbank have taken steps to plug the leaks in their systems. I use cloaked affiliate links or redirect pages a lot not because I'm afraid of having commission deliberately stolen from right under my nose, but because I'm annoyed at the length and ugliness of affiliate URL's. The whole idea of cloaking or redirecting has much to do with people's nature. To be more specific, it's all about psychology. It's interesting that people are hesitant to click affiliate links and tend to cut off the ugly looking part in an affiliate link before pasting it to the browser. Now Let's compare the following two links: http://www.make-you-rich.com/copy.asp?storefront=weishengwu And http://www.make-you-rich.com Which one looks more clickable? The answer is pretty clear. You can replace long URL's with cloaked links or short, server-side redirects so that people won't feel pitched and won't be turned off by links that are obviously affiliate links. There are several ways to create clean links that you can use to direct buyers to your sales pages. Read through the description below and see which one meets your needs and fall within your skill level. Connect to your web server and create a properly named directory. Then create an index.html and put a redirect code in it. Most web hosting providers allow you to have several sub-domains. Simply log on to the control panel, set up your sub-domain and then set up the redirection. Several scripts are available out there that you can install on your web page to protect and redirect your links. You may need to put the code between the head section This is only recommended for advanced users because it involves modifying the .htaccess file on your server. Here's how to do it. Create a properly named directory. Put a file called .htaccess by creating it using a text editor. This file should contain the Redirect command, the location of the directory you want redirected relative to the root of your site and the full URL of the location you want that request sent to. You can find all the above mentioned codes for free. Do your research and then implement it to see how it works. I have put a link for downloading a free e-book containing these codes on my blog. Besides creating redirect pages, you can cloak your affiliate links using commercial software programs or services. Listed below are popular ones on the market. Affiliate Link Cloaker and LinkGuardII. These two programs take your long, ugly link and mask it with a redirect link. NameStick turns long, ugly affiliate or website links and turn them into a short, clean links (cloaked or not cloaked). It allows you to set up domain forwarding and unlimited sub-domains. NameStick forwarding domains and sub-domains are bookmarkable, and you can customize the title visitors see in their bookmark listings. I use NameStick service to create many neat and clean affiliate links to make my business look bigger. If you're serious about your business, you need to take action right away. Redirect or cloak your links to make them more clickable. You may be surprised by how a little effort on your part can make a big difference to your online business.